As part of my Seriously Spooky Month I asked some of my favourite spooky authors to write a guest post for My Best Friends Are Books. 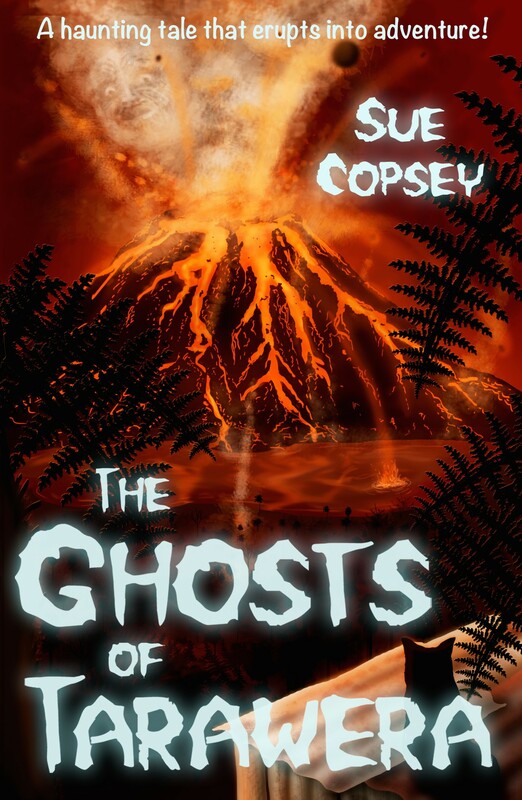 Today I’m joined by New Zealand author Sue Copsey. Sue is the author of the Spooky Adventures series, which includes Young Nick’s Head and Ghosts of Tarawera. Sue joins me today to talk about why she writes spooky stories for kids. Thanks for joining me Sue! Here’s a question for you. Do you like scary books and movies? Did you answer “yes”? Next question: Why do you like them? Weird, isn’t it, how we enjoy being a little bit scared. The sort of scared when you can hug a cushion or the cat and know you’re not in any actual danger. Where you stick your fingers in your ears and squeeze your eyes shut … then open them just a tiny bit, or put your hands over your face but peep between your fingers. When you look over your shoulder and take a deep breath before turning the page of a ghost story. Or maybe you’re reading a spooky story in bed, and you pull the covers right up to your chin, and keep glancing at the bedroom door to check that dark shadow really is just your dressing gown hanging on the hook. And before turning out the light, you make sure there’s nothing under the bed (except your dirty socks, and … oh, missing maths worksheet!). But for me, it didn’t stop there. I wanted to know, who was the Grey Lady? Why was she haunting the churchyard? What was the story? And so it began. Behind every haunting is a tale of days gone by, of unsolved murders, revenge, tragedy, and slips in time. Rich pickings for an author! So another question for you – do you like history? Are you yawning? Well you can stop that, because history is the coolest of subjects – really, it’s just another name for stories, and it should never be boring! I don’t think there’s enough history taught in New Zealand schools, so I like to include plenty of it in my stories. But how to make it interesting for you guys? Just add spooks! There are plenty of ghost story opportunities in New Zealand history. 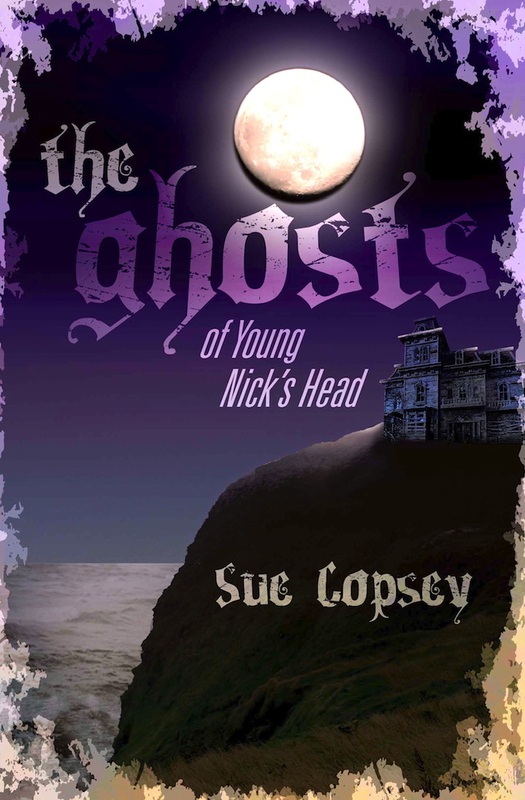 The first book in my Spooky Adventures series is set at Young Nick’s Head on the East Coast. Interesting name don’t you think? Any idea why it’s called that? See – history can be intriguing! The second book was inspired by the eruption of Mt Tarawera in 1886. Did you know that a phantom waka warned of the eruption? And that local legend says it will appear again if the volcano reawakens? How could I not write a story about what would happen if two modern-days boys, out kayaking on the lake, happened to see the phantom canoe? So I guess the answer to the question, why do I write ghost stories, is to give New Zealand kids a delicious scare – just enough to thrill, not enough for nightmares – and to teach them some of our history in such a way that it is fun, never boring.